This is admittedly not the best drink photo -- I was halfway through the drink before I thought about writing about this. I was craving a drink with bourbon perhaps influenced by the Kentucky Derby being on TV, yet didn't want a Mint Julep. 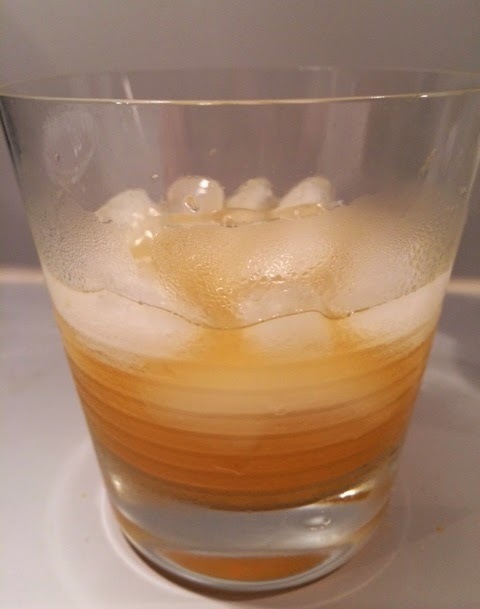 I had just used part of an orange for another recipe and decided to make my own version of the Chocolate Bulleit cocktail, but using different proportions of ingredients since that drink is a bit too strong for me.